As we walk along the “Knappensteig” path, passing by entrances to old mine galleries, we take a journey into the past and a time when the extraction of ore was just beginning. Above the tree line, we feast upon a richly diverse mountainous world — in one of the country’s most beautiful high valleys. The widespread distribution of the alpine cabins demonstrates the cultural imprint of people over centuries. 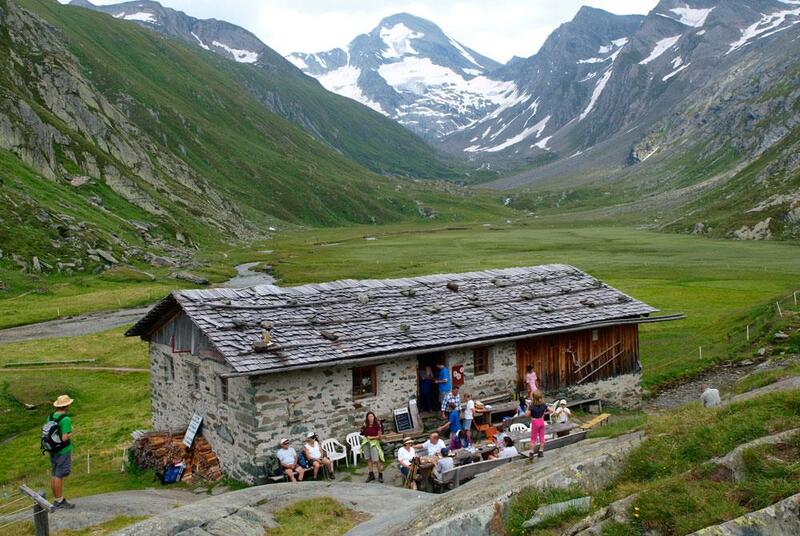 The interesting remnants of glaciers can be seen in the form of old moraines at the “Röt” – and “Merb”alm cabin.